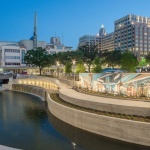 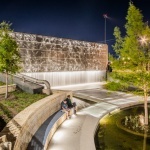 The first part of phase 1 of the San Pedro Creek redevelopment in San Antonio, Texas, is now open to the public, and the waterway’s rejuvenation has been touted as a celebration of Latino culture in the city. 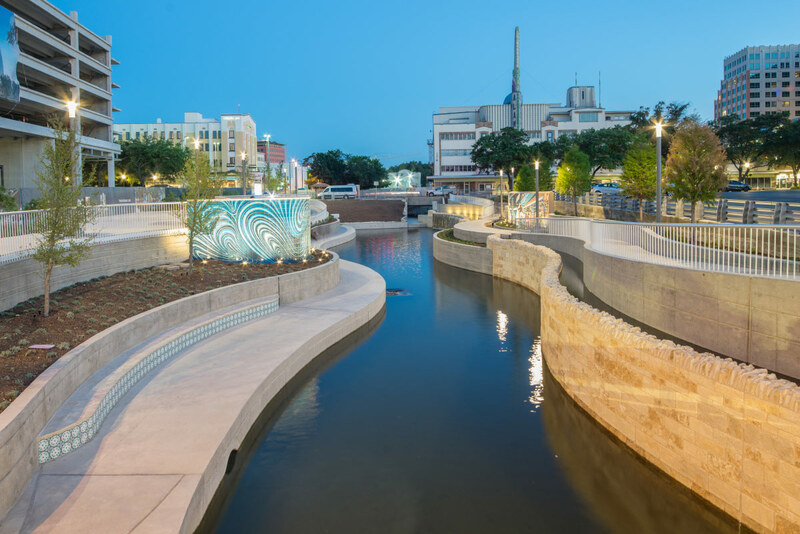 San Antonio-based Muñoz and Company was tapped in 2015 to design the 2.2-mile-long restoration of what was then a concrete drainage ditch. 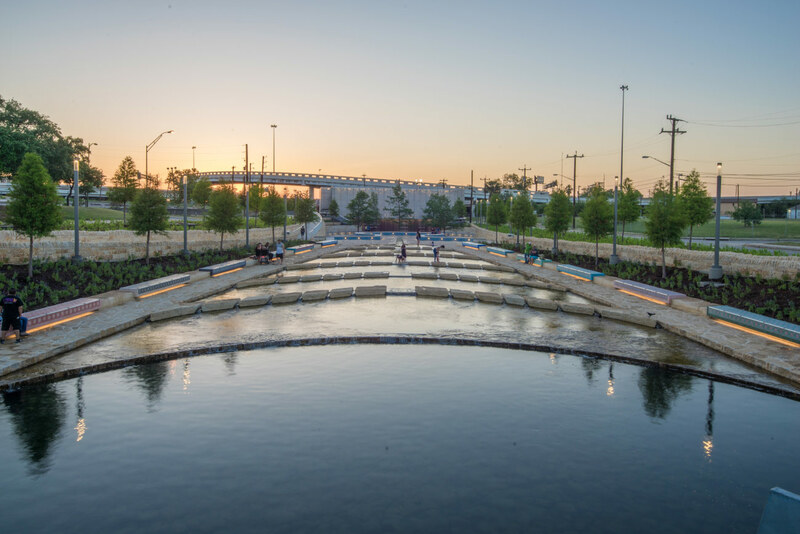 The completion of phase 1.1, a 2,200-foot-long stretch of riverwalk christened San Pedro Creek Culture Park, marks just one part of a four-phase plan to revitalize the 2.2-mile-long creek. 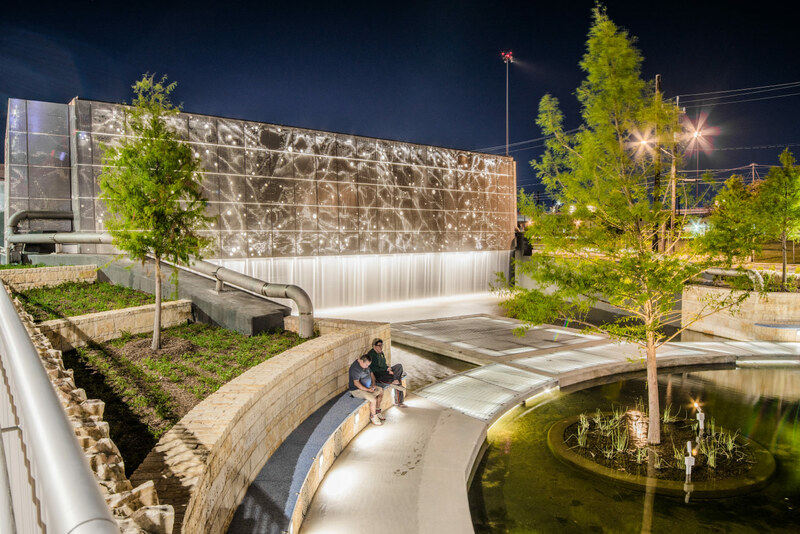 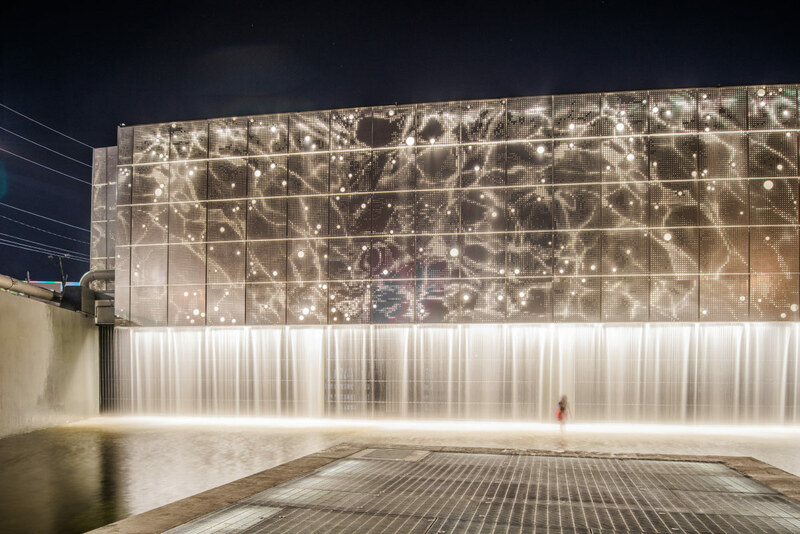 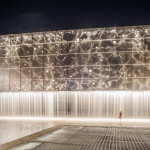 The opening of the first phase on May 5 coincided with the 300th anniversary of San Antonio and was commemorated by the unveiling of Rain from the Heavens, a public art installation cut on stainless steel panels depicting what the stars looked like that night in 1718. 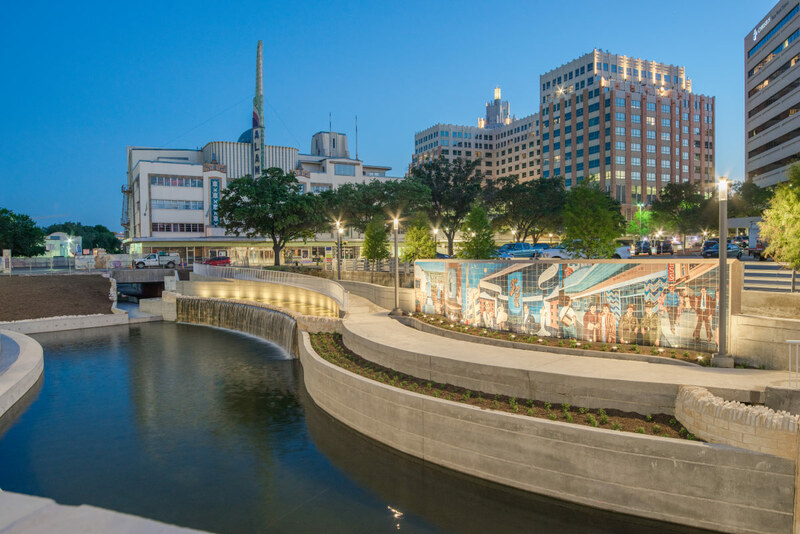 Also on display in the Cultural Park are murals that honor the local culture of San Antonio and surrounding Bexar County, by artists Adriana Garcia, Katie Pell, Alex Rubio, and Joe Lopez. 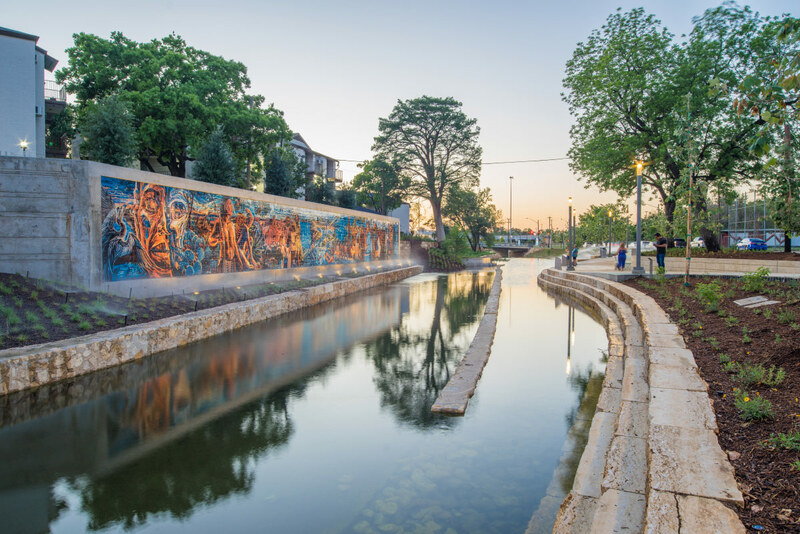 San Pedro Creek once flowed freely through the city but has been deepened, rerouted, and sometimes covered entirely since the 1700s. 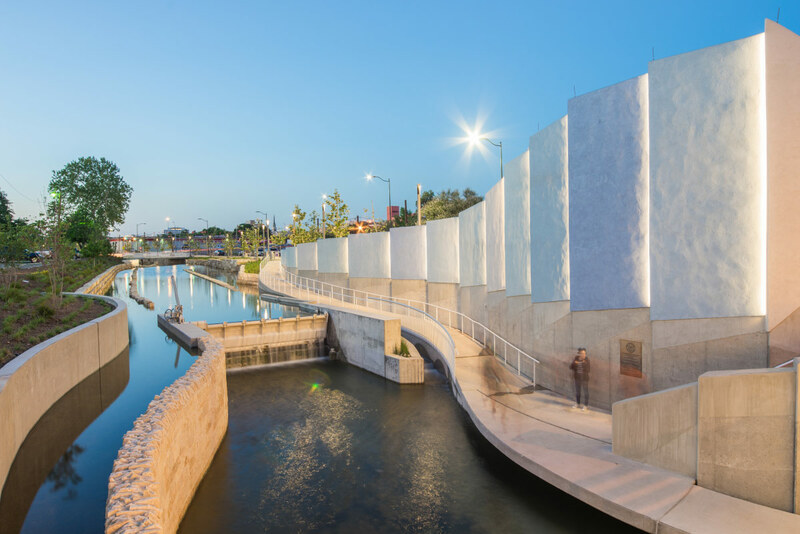 Each area of the river will eventually have its own design and accompanying visual identity, but retain a focus on the local ecology, history of San Antonio, and the water itself. 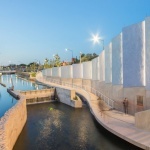 The San Pedro Creek Culture Park section is hemmed in by historic limestone walls, and features widened walkways, a new boardwalk overlook, benches, and new landscaping that uses indigenous aquatic plants and trees. 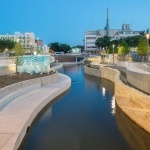 The widening and deepening of the creek also boosted the waterway’s ability to sequester stormwater, in addition to the five new bioswales that were installed. 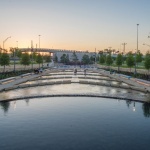 Phase 1.2 of the project is under construction and set to finish in 2020.